Ubisoft's Assassin's Creed has always been known for its efforts to present players with a realistic historical world to explore. Assassin's Creed Rebellion, however, is throwing all of that out the window. Rebellion has bobble headed characters and a bright, cartoonish aesthetic. It's being developed exclusively for mobile platforms, and bills itself as a "strategy RPG." Of course, we all know that a mobile game means free-to-play and gatcha mechanics, but still, the opportunity to play as a whole bunch of your favourite characters from the "main" series at once will be tempting to many. - Rediscover the legends of the Assassins Order like never before. - Team up with more than 40 characters, including legendary ones as well as exclusive brand new characters. - Train and promote your assassins to the highest ranks to strengthen your Brotherhood forces and defeat the Templars. - Develop your fortress as your Brotherhood grows, increase its power and improve your Assassins’ skills. - Build new rooms, craft new equipment, gather resources or create new medicine. - Collect DNA fragments to unlock new heroes and upgrade their abilities. - Send your Assassins team on covert missions throughout Spain. Choose the perfect combination of heroes to achieve the objective. - Develop your own strategy and use your Assassins’ unique skills to infiltrate the Templar strongholds and stop their plans. - Fight your way through, or apply a more stealthy approach? Choose wisely. - Discover new settings and different eras from the past in the time-limited events. 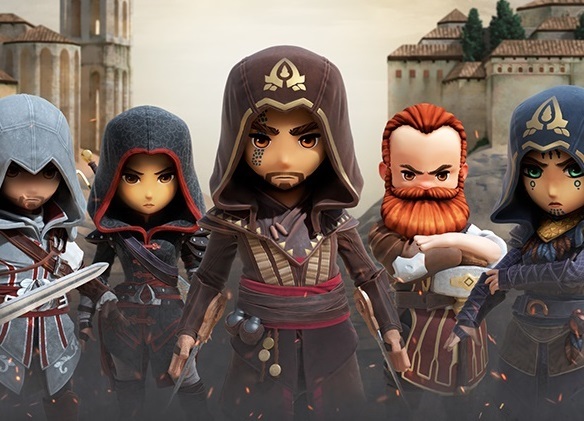 - Earn additional rewards, and get a chance to unlock new rare Assassins by taking part in time-limited events. - Join other players worldwide to compete in the leaderboards. Reach the top of the leaderboards and loot even greater rewards! The game releases on November 21.